More than 23 million Americans live in areas without supermarkets or other places where they can access fresh, nutritious foods. This creates a major public health challenge in underserved communities. Adding a supermarket or other fresh food retailer in these neighborhoods not only improves the health of residents, but also spurs economic development. 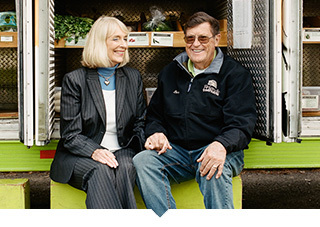 Capital Impact Partners is demonstrating the impact that increased access to fresh, healthy foods can have by financing new stores, expansion of existing stores and innovations such as mobile markets and food hubs that scale distribution efforts. Having healthy food retailers in urban and rural areas means residents do not have to travel long distances to buy fresh produce. This eliminates the reliance on convenience stores for groceries, whose food choices are made up of highly processed, high-sugar and high-fat foods. It is as simple as this: a person’s zip code can determine his or her life expectancy. 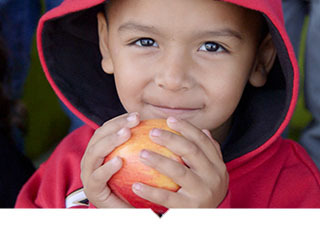 Increased ability to choose healthy and affordable foods can help low-income families live healthier lives and improve school performance. Healthy food retailers can enhance the broader economic and social health of their surrounding communities through job creation, tax revenue and support for other retail operations, health centers schools and aging facilities..
Capital Impact Partners is a leader in partnering with social entrepreneurs and forward-thinking business owners so they can access the capital they need to build and expand their healthy food retail operations. We also work with leaders across the public, private and philanthropic sectors to enact policies and rethink ways to increase access to fresh foods for those who need it most. 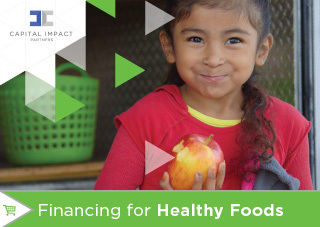 We advocate for federal, state, and local legislation and produce policy papers on such topics as the Healthy Food Financing Initiative in order to support projects that increase access to healthy and affordable foods in low-income communities. Through our variety of financing options, including the Michigan Good Food Fund, our loans support a range of needs from tradition acquisition and expansion to equipment purchasing to innovative distribution approaches. Expanding or launching a retail food enterprise serving low-income communities can be complicated. We supplement our lending efforts by offering a range of business service training to ensure your venture is investment-ready. 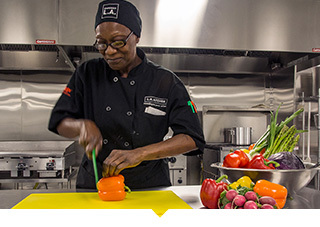 Interested in applying for a loan for your grocery store or healthy food enterprise? Deploying strategic capital to bring healthy food stores to communities creates real change in the way people eat, live, and work. That impact is illustrated in the individual stories highlighting those entrepreneurs, large grocery stores and social innovators with whom we have partnered and supported. 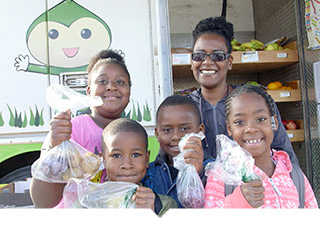 When Sam Shina wanted to revamp his neighborhood store to better serve his Detroit neighborhood with healthy, local and affordable offerings he turned to Capital Impact Partners. With $6 million in financing, Sam was able to double the size of his store and create a host of new jobs. Once an accomplished chef who fed diners across North Central Texas, Kajl now needs help to secure a hot meal. With support from Capital Impact Meals on Wheels was able to double its operations to help Kajl and other eldery residents in the region. First Alternative Cooperative, a community co-op market in Corvallis, Oregon was operating with equipment well past it’s prime. Capital Impact stepped in with $1.6 million in loans to help the operators complete a variety of key infrastructure improvements. In many rural communities, a grocery store can’t meet the needs of the dispersed residents. That’s why we stepped in finance the Produce on the Go Farmers Market. This innovative mobile market helps address a key problem in California’s Central Valley where much of the state’s agriculture is farmed, yet workers have little to no access to fresh food for their own families. We track and measure transformation in and among the communities we support. This ensures that the investment of capital and commitment translates into real, sustainable change. Ultimately, these efforts support the work of cooperatives to build communities of opportunity.